The city of Uji, the namesake of this wonderfully light Hojicha, is one of Japan’s most ancient places. The city is home to the Byodoin, recognized by UNESCO as the world’s oldest wooden structure. It was built in 1053 and amazingly, still stands. The region has been home to tea gardens and tea pickers for centuries and is to this day recognized as one of Japan’s foremost green tea growing regions. Tagami Kikusha, a Japanese Poet, accomplished in the tea ceremony, lived during those ancient times and wrote about life in the area while living in another of Uji’s famous buildings, the Manpuku Temple. The short poem captures the warm feelings of joy felt by the pickers as they worked in the tea gardens – tea was considered a sacred and divine gift by the ancient Japanese. 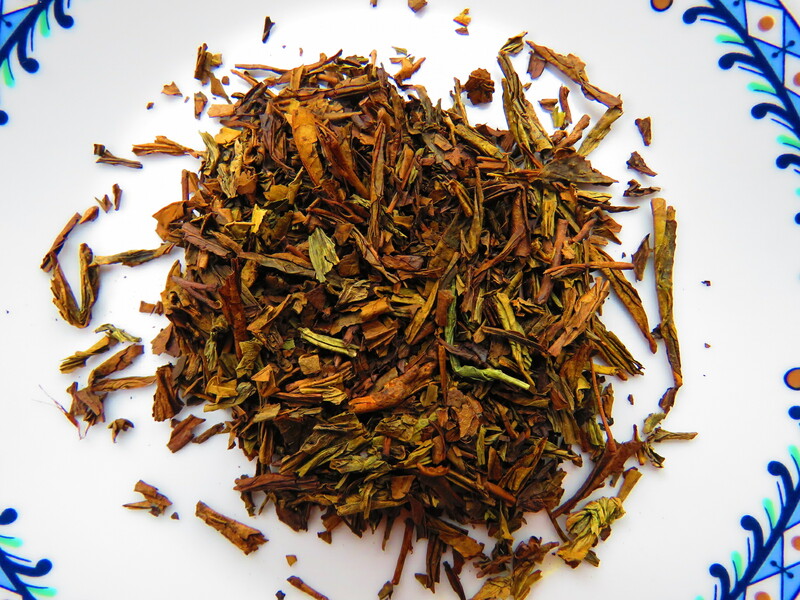 One of the teas that helped make the region famous is Hojicha. Hojicha, a specially roasted green tea, may seem exotic to Westerners but in Japan it is one of country’s most commonly enjoyed beverages. Owing to its low caffeine content – the roasting process removes much of the caffeine – Hojicha is often served to accompany meals. It is also commonly served to children and patients in hospitals. The tea is produced using a 3rd flush Bancha leaf known in Japanese as Sanbancha. Our offering here is plucked exclusively at Yamarokusangyou, one of Uji’s top gardens. The plucked leaves are produced in a style similar to that of Sencha – the leaves are steamed and dried. Next the dried leaf is roasted over a low heat – the low roasting temperature imparts a sweet taste and nice fresh aroma (Hojicha that has been roasted at too high a temperature loses much of its sweetness). This roasting process results in a tea with a reddish colour and light cup with a very unique flavour. Try pairing our Hojicha with Asian themed meals and notice how well it cleanses the palate.